Here we are, once again, on the eve of an event that keeps people talking for years to come. For longtime fans of New Japan, this has been a well-known fact that January 4th is New Japan’s biggest event of the year. For newer fans, they have learned that very quickly. The New Japan Rumble occurs every year in the pre-show of Wrestle Kingdom. For new viewers, the best comparison would be the Andre the Giant Battle Royal. No real stakes here, but it’s seen as an opportunity for NJPW to bring back old favorites mixed in with the current roster that are not part of the show. It can serve as a way for NJPW to begin pushes on people returning from injury or long absences. In the past, the likes of Cheeseburger, King Haku, The Great Kabuki, Bone Soldier, and Scott Norton have been part of the match. 2017 has really been a great year for the IWGP Junior Heavyweight Tag Team division. The main storyline for the division has been Roppongi Vice (Trent Berretta/Rocky Romero) vs the Young Bucks. 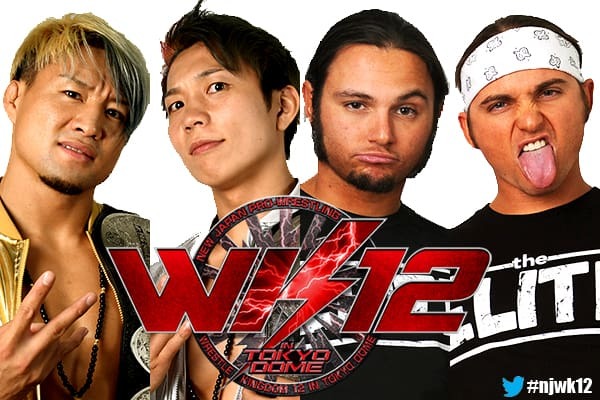 They had an underrated match at WK 11 and had several bouts later in the year culminating in the Young Bucks retaking the IWGP Junior Heavyweight Tag Team belts, causing the amicable breakup of Roppongi Vice. So, it is very apropos that the Young Bucks are facing the new incarnation of Roppongi Vice called Roppongi 3K (RPG3k) consisting of Sho Tanaka and Yohei Komatsu (Sho and Yo). During their excursion to ROH, Sho and Yo were called The Tempura Boyz. They were a decent tag team but felt like a boat without a rudder. When they debuted at King of Pro Wrestling 2017, they shocked the world when it was revealed they were RPG3k. With Rocky Romero as their coach/manager, they won the IWGP Junior Heavyweight Tag Team belts on their first night. Who is ready for possibly the most chaotic (not in a good way) match of the night? This match is just an excuse to cram as many guys as possible in the WK card. Seriously though, there is no rhyme or reason for some of the pairings. ZSJ is paired up with Izuka and Taichi makes no sense. I get they are fellow Suzuki-Gun members, but you would think NJPW would have a better use of ZSJ’s skills. Same can be said for sticking Ishii into this nonsense. It’s borderline criminal on the misuse of Ishii in 2017. Here’s hoping for a better 2018. At this point, pairing Elgin with War Machine is just a rib on both parties. War Machine has been pretty open about their feelings on Elgin (they screamed “F Michael Elgin!” in front of the camera during the tag league) after his private comments on them were leaked. One of the biggest disappointments of 2017 in NJPW has been the heavyweight tag team division. The inclusion of War Machine into the division was a breath of fresh air, but unfortunately, they are moving on to the WWE. 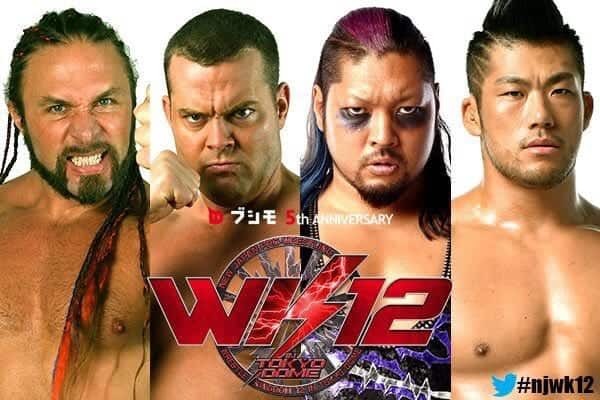 KES return to New Japan at the top of 2017 found itself stopped due to a serious back injury to Lance Archer. When he came back in August, NJPW did some really strange booking. 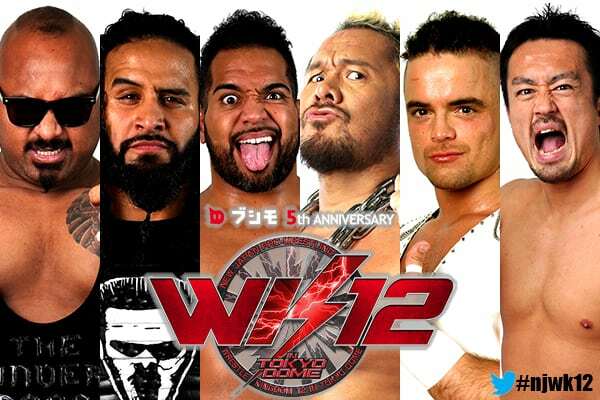 During the Destruction shows in Sep, they were involved in three separate three-way matches with Guerrillas of Destiny and War Machine for the IWGP Tag Team Championship. After the third try, KES finally won the belts. However, NJPW killed any interest people had in the heavyweight division. When I first heard that at “The Biggest Show of The Year for New Japan” that there would be a hair vs hair match, I automatically assumed it’d be featuring someone like Tanahashi, or maybe a Kenny Omega. Never in my wildest dreams would I have guessed it would be a part of what I like to consider to be “The Legalized Murder” division of New Japan which is currently being helmed by a most frightening “Lonely Warrior” by the name of Minoru Suzuki. The other participant also considers himself to very much live a warriors lifestyle in Hirooki Goto. 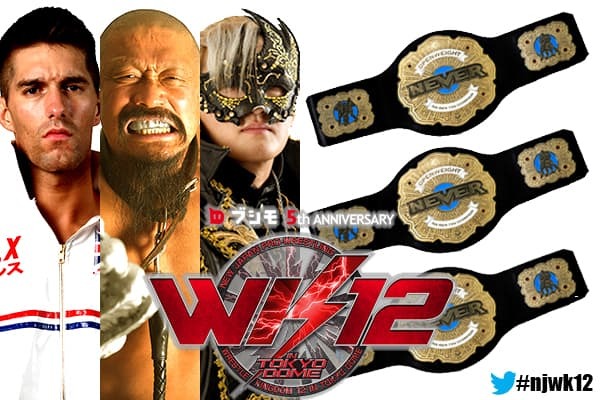 For the first time ever, there is a four-way match for the IWGP Junior Heavyweight Championship at Wrestle Kingdom. 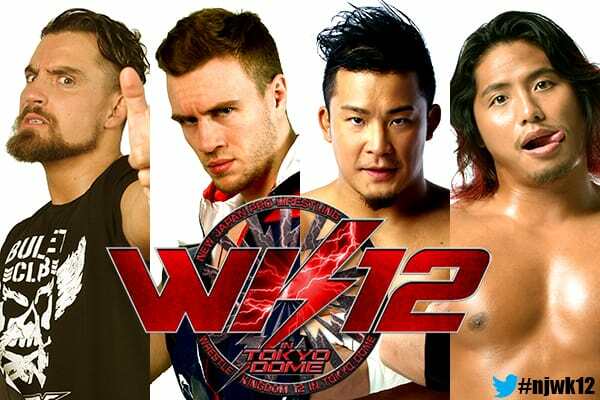 Honestly, I am a bit of a traditionalist and prefer a one on one match, but NJPW at least picked the right four wrestlers for the job. What I really love most about this match is the strong story that connects all four. Takahashi has had a rough 2017. It started out so strong! He defeated KUSHIDA, the pillar of the division, at WK11. During his reign, he beat the who’s who in the division such as his bitter rival Dragon Lee, Ryusuke Taguchi, and Ricochet. Then he did the unthinkable! He destroyed KUSHIDA in 1 minute and 56 seconds at Sakura Genesis. It was the most shocking thing I have ever seen in a NJPW ring. But, then his luck quickly changed. KUSHIDA got his revenge and regained the belt at Dominion 6.11 in Osaka-jo Hall. Hiromu broke. He lost his baby, so he adopted Daryl Takahashi, a stuffed cat to fill the void. Plus, every time he would try to challenge the IWGP Junior Heavyweight Champion, someone would take him out. This is the reason why he was wearing sports gear to the ring when the 4-way match was announced. KUSHIDA had a strong 2017 all over the world. He defeated Marty Scurll to become the ROH World Television Champion at War of the Worlds. He won two tournaments, the WCPW Pro Wrestling World Cup ’17 and the Best of the Super Juniors by beating Will Ospreay in both instances. Now, KUSHIDA looks to regain his proper spot on the throne as the best junior heavyweight in the world by becoming the six-time Jr. Heavyweight Champion moving him up with Tiger Mask as having the second most title reigns. Honestly, there isn’t much to say about Marty Scurll other than it is surprising how fast he has gotten over in Japan. 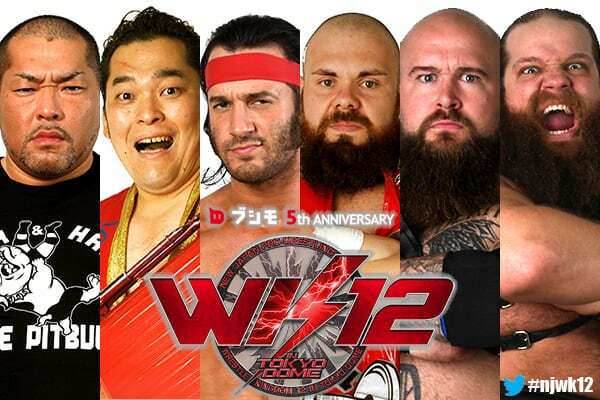 He joined NJPW as a participant of the Best of the Super Juniors tournament in May. He has been a thorn on Will Ospreay’s side since there time in the UK, and now in Japan, since he defeated Ospreay in his first title defense. The Evolution of Jay White to Switchblade is a NJPW Young Lion system success story. Prior to going on his excursion, Jay White’s white meat babyface persona showed some decent skills in the ring, but not much more than that. Next, he found himself in Ring of Honor for his excursion, where his in-ring style continued to mature. He had a handful of great tag matches, but his best single performance was against Will Ospreay at ROH/NJPW War Of The Worlds 2017. In my opinion, that was his coming out party. Shockingly, Jay returned to the Switchblade. A much darker, more mysterious, sort of brooding character. He immediately burst out to claim his spot by defeating “Mr. Wrestle Kingdom” himself, Hiroshi Tanahashi. This is hard for me to admit, but this may be the least interested I have ever been for a Hiroshi Tanahashi match at Wrestle Kingdom. This is isn’t a knock on Switchblade or Tanahashi, it’s just because prior to this event, he has been part of the main event or co-main event since WK4 in 2010. 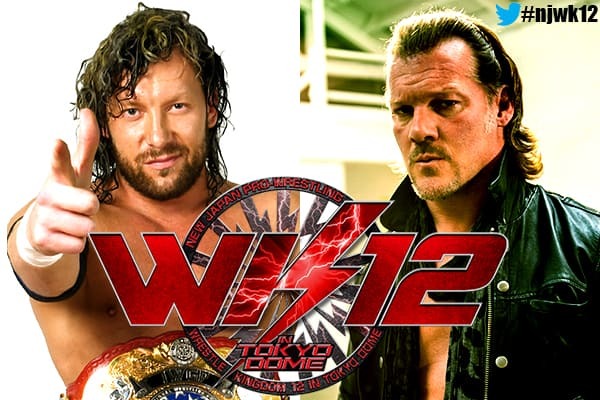 For WK12, it’s clear the IWGP IC match has been bumped off the co-main event slot for the Jericho vs Omega spectacle. This has really caused the Tanahashi vs White storyline to suffer. To this point, it’s unclear to me why Jay White transformed into Switchblade. Since his reveal, he has only shown up once (Road to WK night 2), and he didn’t say all that much. When I was first watching such an amazing match between Kenny Omega vs Trent Baretta for the IWGP US title, it was a truly amazing and incredible match. However, after the match, Omega cut a wonderful promo calling out Jericho. I was not expecting him to appear on the big screen, cutting his own promo, and announcing their match at the biggest show of the year on Jan 4th. Never in my wildest dreams did I expect this match to happen. I was completely sold on this match from the word go. Especially so, after their Twitter war building up to the match not knowing beforehand that it would actually take place in a New Japan ring. Let’s fast forward to the amazing conference brawl. While Jericho was doing an interview, Omega attacked him in a brilliantly orchestrated angle. Suddenly, viewers interest spiked upward to this amazing match. This led Mr. Kidani making the match a No Disqualification match, and both Omega & Jericho began threatening to end each other’s careers! #AlphavsOmega. 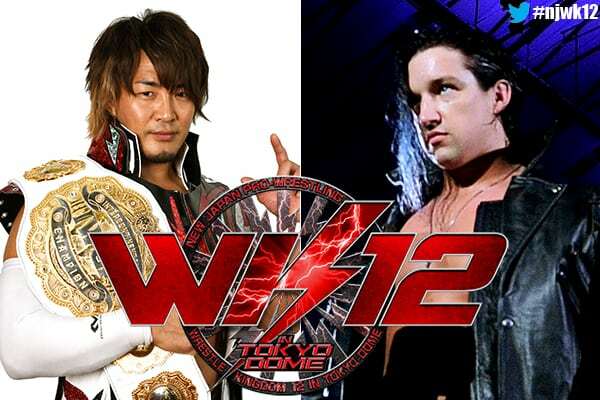 Just that title alone will pack the Tokyo Dome, and sell out tickets very quickly. I think this never before seen dream match should be the main event as well. I believe it should be a magical sight to behold when WK12 airs. You got Omega, who has had an amazing 2017 and could possibly have a great start to this new year if he can get past this hurdle. On the other hand, you have the self-proclaimed “Alpha of Professional Wrestling” Chris Jericho. A man who, obviously, is very well known for his work in WWE, WCW, ECW, and of course, Japan. My goodness, gracious, the time is finally upon us. Before I gush, perhaps there some’s history worth noting here. Before Tetsuya Naito caught fire upon his return from Mexico, he spent years as a babyface known as The Stardust Genius. New Japan tried many different avenues to get Naito over during this time. A feud with Masato Tanaka over the NEVER Openweight Championship when the title was still trying to find it’s way, the surprise victory in the G1 Tournament back in 2013 that ultimately led to his title challenge against Okada being thrown out of the main event in a fan vote that led to Nakamura and Tanahashi having about that overshadowed theirs in more ways then one. Then, suddenly, throughout 2014, Naito finds himself booed out of buildings in Osaka, and other venues across Japan. 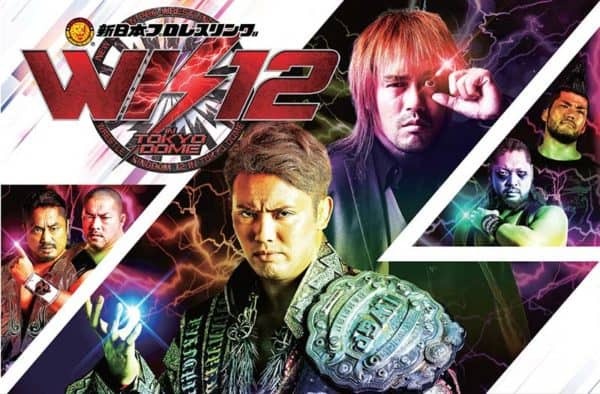 Meanwhile, the star of Okada continues to rise as the feud with Tanahashi would capture the imagination of fans on both sides of the Pacific for the next two years (which has its own laundry list of history that I won’t go into here). Fast-forward to 2017. Since Naito’s return, his change in persona, and founding Los Ingobernables de Japon, he’s become the fastest rising star in New Japan. Runs with both the Intercontinental and Heavyweight championships have led him to the doorstep of mega-star at WK 12. Standing in his way is Okada, who is in the midst of a legendary title run that he started by beating his Wrestle Kingdom opponent. Fantastic title matches with Kenny Omega, Cody, Naomichi Marufuji, Katsuyori Shibata, Minoru Suzuki across 2016 and 2017 have brought every title match Okada participates in a “must-watch” spectacle for New Japan fans new and old. 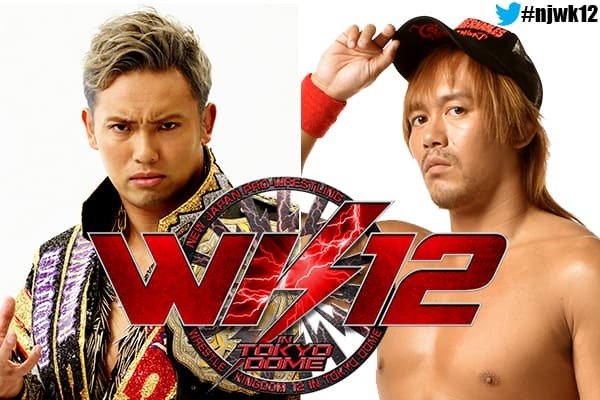 Now, we find ourselves at a moment in time where both Okada and Naito are eager to prove to the whole world why bumping them from the main event at Wrestle Kingdom 8 was a huge misjudgment by the fans. As for who wins, I’ve seen several fans on various social media pages and platforms call Naito winning “predictable”. As if this somehow makes this match anything less then the momentous occasion that it is. Just because the result here might be obvious, doesn’t make it any less right. Naito winning here makes the most sense, and it’s time for his moment in the sun. If Naito doesn’t win here, it hurts him more long-term then Okada losing would. His run will go down as one of the very best title reigns in the IWGP Heavyweight Title’s history, heck, maybe wrestling history. It’s time for somebody else to have a go at trying to replicate it. 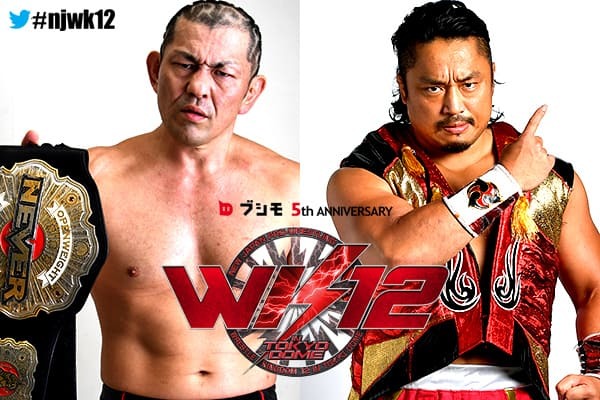 You can also listen to Gary Vaughan, Sean and Paul give their predictions for Wrestle Kingdom 12 on the latest Wrestling 2 the MAX podcast as well.